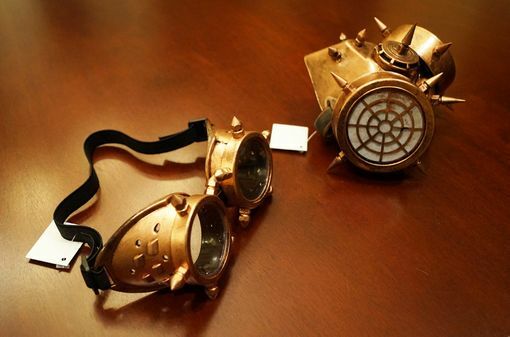 Ventron gas mask and goggles are accented bronze spikes. Gas mask and goggles come with elastic bands. Goggles have glass lens.